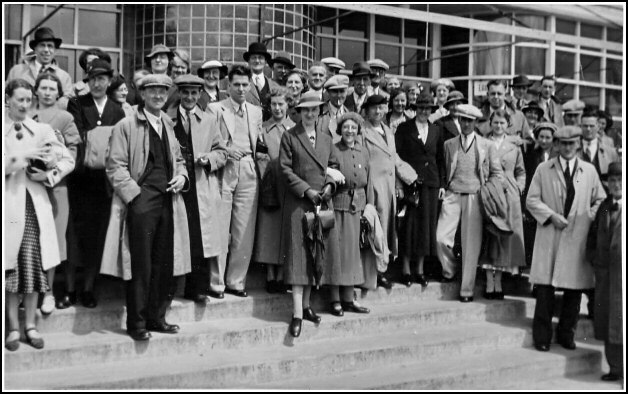 "A photo of a group from Bairstow's attending the Glasgow Empire Exhibition on 9th July 1938, a month before my aunt and uncle were married. My Aunt and Uncle are on it but I don't know any of the others. 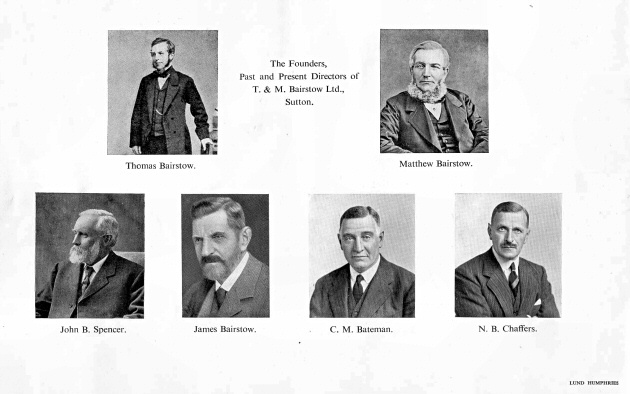 Edward Dickinson is about 4th in from the right with Nora Monkhouse immediately in front of him beside the man in pale flat cap and carrying an overcoat." 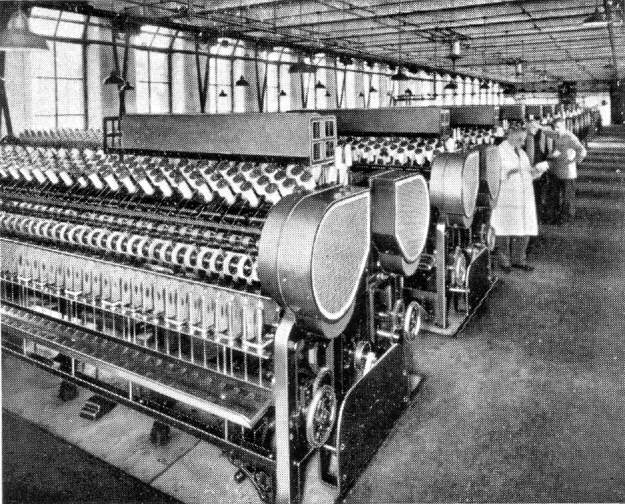 "I believe that my two Aunts Charlotte and Chrissie Hough are on the back row just to the left (as we look at it) of Edward Dickinson. Also it could be my mother Mabel Briggs (formerly Hough) just to the left of Chrissie." 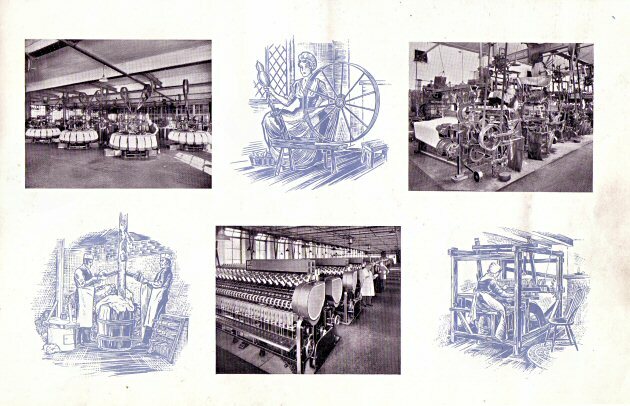 The images below are from the commemorative booklet. 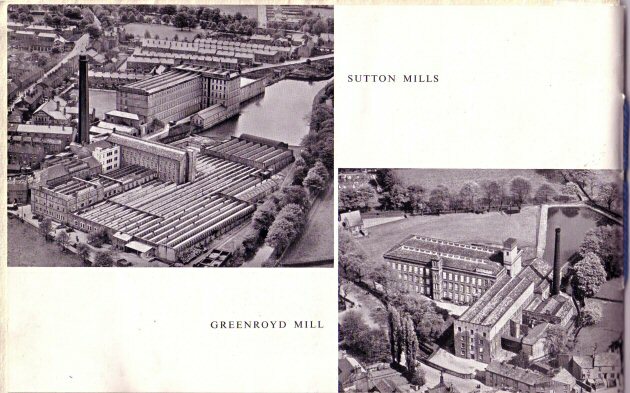 grandfather, William Firth, who worked at Sutton Mill till the mid 50s. 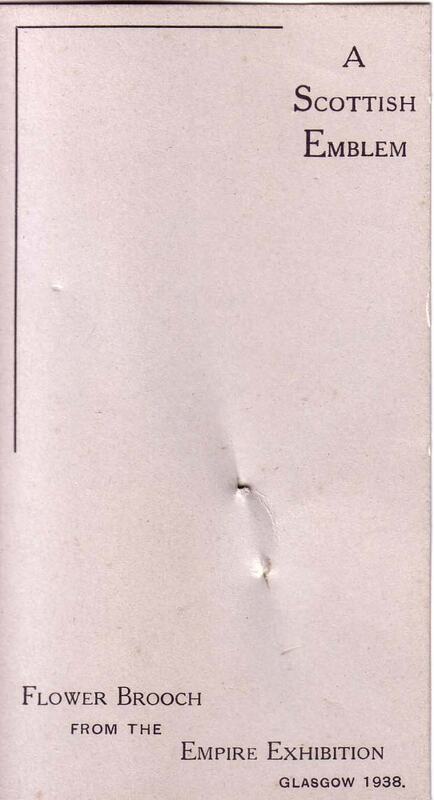 Click here to view the detail. 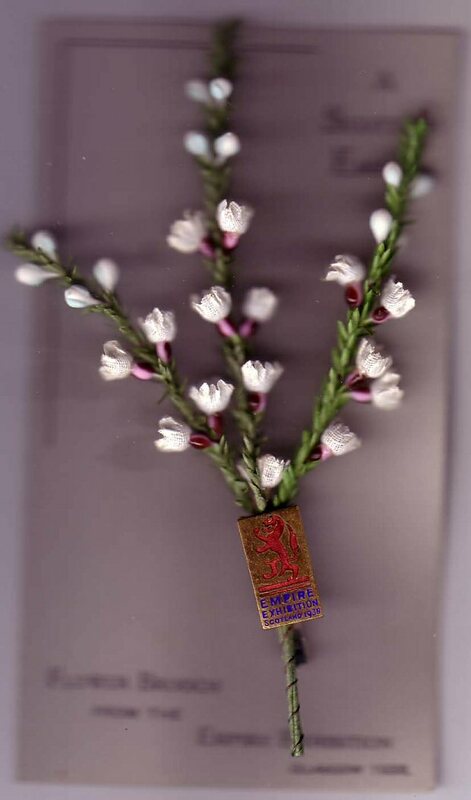 Below is the commemorative brooch, a sprig of white heather with a badge containing the Lion crest. 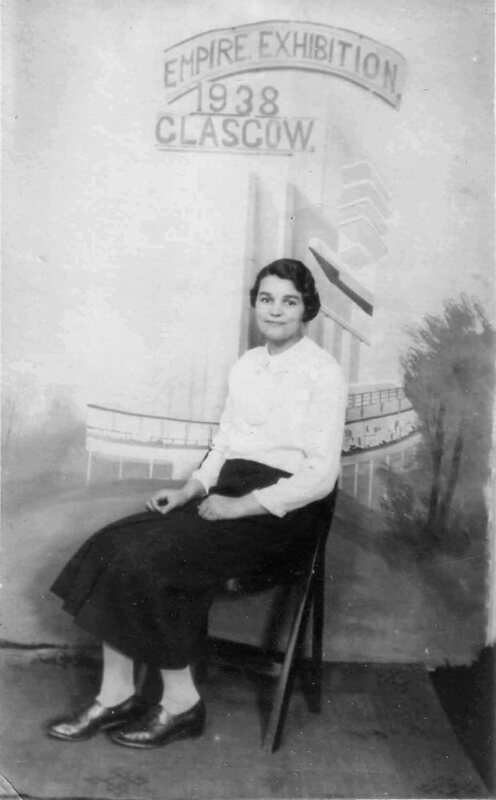 Photo of Barbara's Aunt Sarah Monkhouse (nee Priestley) taken at the Exhibition. 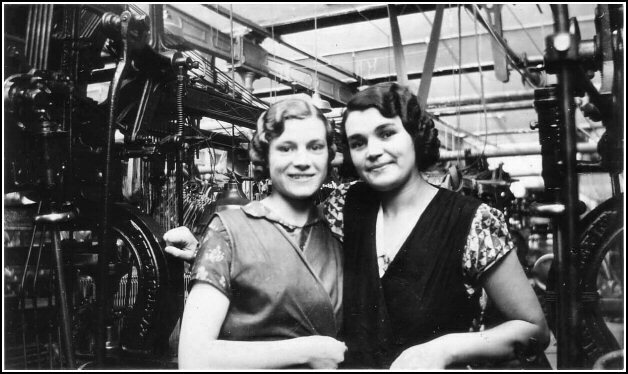 Sarah and Nora Monkhouse in T & M Bairstow's weaving shed. 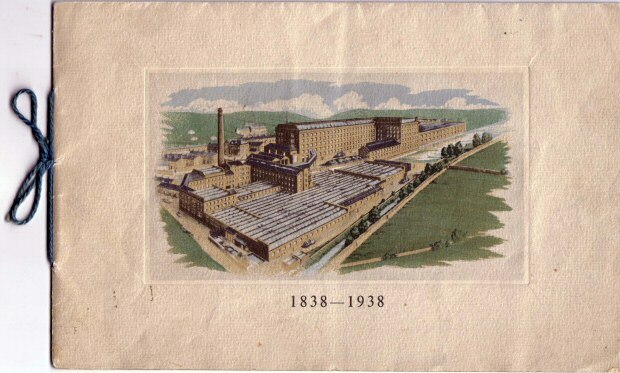 www.theglasgowstory.com, including a plan of the whole area on which is the Palace of Industry. 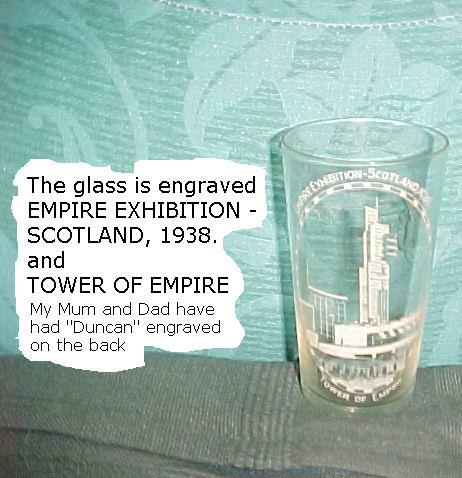 With thanks to Barbara and Allen Chapman for providing the scans.